I didn't do so well with getting my workout in this weekend. 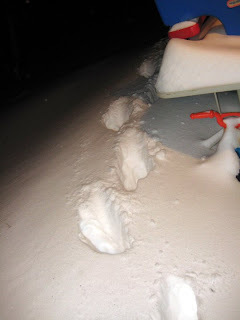 Saturday we got nearly 18 inches of snow here in the arctic tundra... yes a foot and a half in less than 24 hours! 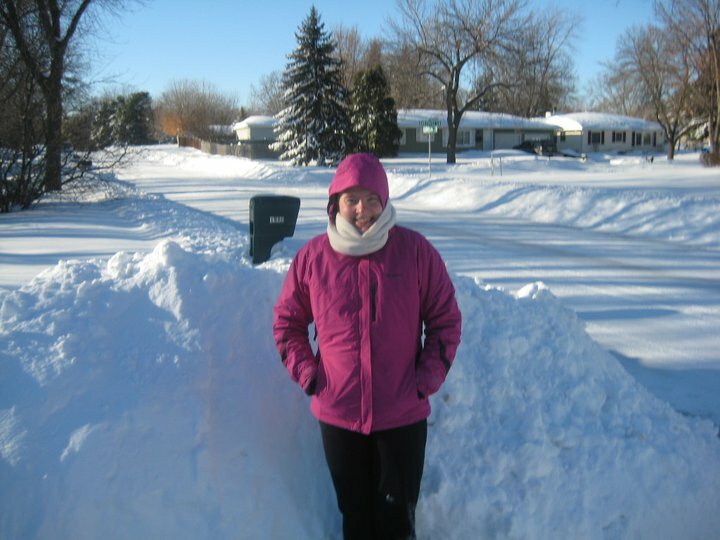 Apparently, it's the fifth largest snowfall in Minnesota history! It is certainly the biggest one I've seen in the 11 years I've lived here. No one was really going anywhere... stores and restaurants were closing all over the place, people were snowmobiling now the street, and my gym actually closed due to the weather. So... I didn't get to the gym like I wanted too. Lucky for me... upon waking this morning, I found a good 18 inches of snow in my driveway, and drifts up to 3 feet high in some places - Instant Workout... even if it was only 2 degrees outside! Thank God for my Warm Essentials Long Underwear, and a really warm Columbia coat! Both, along with covering up most of my face, kept me toasty warm. Marshmallow woman in what was once her backyard! So, along with my husband, I spent a good hour shoveling my driveway. I think that qualifies as a pretty good workout! I was certainly sweating when I was done. I guess if you can beat it... join it, right? End of my driveway Dec 12, 2010 18 inches! ﻿Is winter over with yet?? Oh it hasn't even officially started yet. I guess Mother Nature didn't get that memo. 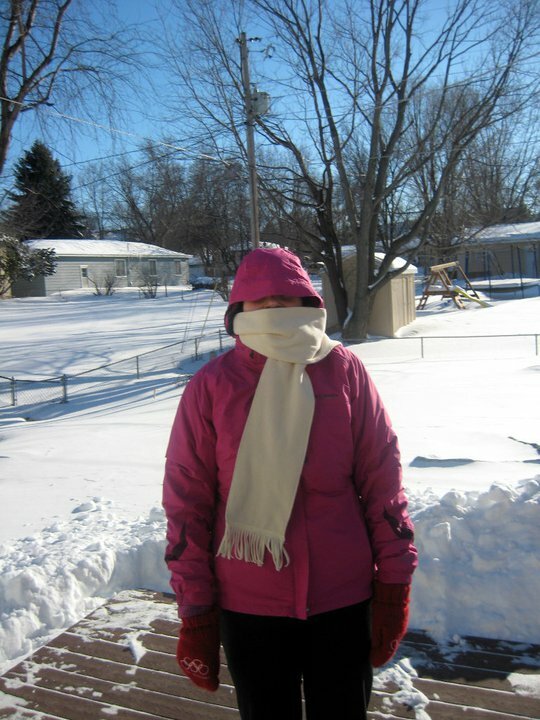 Shoveling is definitely a workout!